If you want to see God and feel His presence, you can find it in abundance in a child. Our Bible teaches us that “children are a gift from God and that children’s children are a crown to the aged and the parents are a pride to their children. “I have been so very blessed by God to be the recipient of an awesome, incredible family that only God could create. 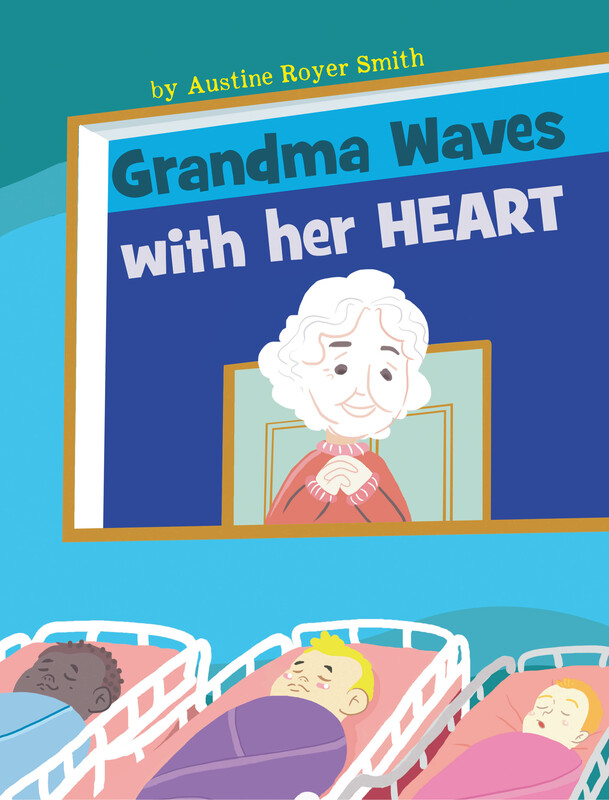 Believe me, I have enjoyed every second of my children’s, my grandchildren’s, and my great grandchildren’s lives. Being a major part of their lives had brought me closer to Our Father God than anything else. My lap has been the place of many stories and life’s lessons, prayers, and the healings. It’s the little things in their lives that linger in my memory longer and bring me much joy! 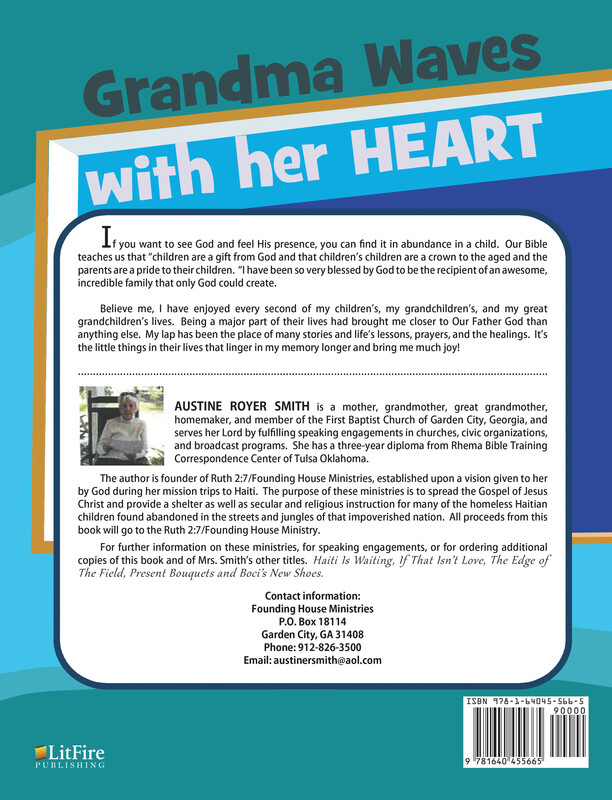 AUSTINE ROYER SMITH is a mother, grandmother, great grandmother, homemaker, and member of the First Baptist Church of Garden City, Georgia, and serves her Lord by fulfilling speaking engagements in churches, civic organizations, and broadcast programs. She has a three-year diploma from Rhema Bible Training Correspondence Center of Tulsa Oklahoma. The author is founder of Ruth 2:7/Founding House Ministries, established upon a vision given to her by God during her mission trips to Haiti. The purpose of these ministries is to spread the Gospel of Jesus Christ and provide a shelter as well as secular and religious instruction for many of the homeless Haitian children found abandoned in the streets and jungles of that impoverished nation. All proceeds from this book will go to the Ruth 2:7/Founding House Ministry. For further information on these ministries, for speaking engagements, or for ordering additional copies of this book and of Mrs. Smith’s other titles. Haiti Is Waiting, If That Isn’t Love, The Edge of The Field, Present Bouquets and Boci’s New Shoes.